Car sales in India declined 1.03 per cent in September, after posting four months of consecutive growth, as customers postponed purchases during the month on account of festival season beginning in October. According to the data released by Society of Indian Automobile Manufacturers (SIAM), domestic car sales in September this year stood at 1,54,882 units as compared to 1,56,494 units in the same month of 2013. ‘We think people have postponed their buys from September to October. That's the only reason we can think of regarding this marginal decline in car sales,’ SIAM Director General Vishnu Mathur told reporters here. He added that with major festivals lined up in October, the car sales are expected to grow during the month. ‘Definitely the sentiment is better this festival season. 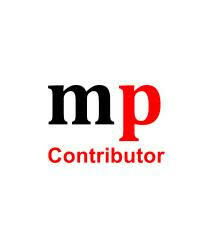 Companies are hoping that they will see better sales this October as compared to the same month last year,’ Mathur said. Car sales in the country had grown from May to August this year after a prolonged slump which lasted over two years. ‘Early signs of revival of demand are there but at the same time the economic environment remains very challenging... fundamentals of the economy have to improve,’ Mathur said. Consumer sentiment, however, has improved significantly, he added. a year earlier, according to SIAM data. Market leader Hero MotoCorp saw its sales grow 29.41 per cent to 5,13,886 units as against 3,97,095 units in the same month last year. Rival Bajaj Auto posted sale of 1,99,251 units as against 2,02,310 units last year, down 1.51 per cent. Honda Motorcycle and Scooter India (HMSI) posted a growth of 18.95 per cent at 1,79,472 units as against 1,50,872 units in September 2103. According to SIAM, the total scooter sales in September 2014 were at 4,38,470 units as compared to 3,17,750 units in the same month last year, up 37.99 per cent. Market leader Honda Motorcycle & Scooter India posted a growth of 49.67 per cent at 2,41,128 units as against 1,61,105 units in the year-ago month.